New Online Buying Collective Membership of 12,000+ Members is Open for Business Offering 1500+ Organic and Natural, Non-GMO Foods and Products through the Green PolkaDot Box. Organic Gardens Network is pleased to share the news about the creation of a brand new, cutting-edge national buyer’s club for home delivery of non-perishable organic and non-GMO foods and products, with a fresh produce option coming soon. Regardless of whether you’re interested in raw, living foods or fresh produce, vegan and vegetarian, gluten-free, in addition to transitional and transformational foods, you'll find it all here. 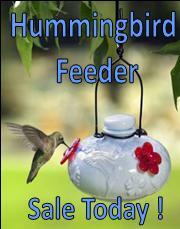 You can save on average 30-60% off retail prices and enjoy free shipping for orders of $150 or more. This innovative new buyer’s club is called The Green PolkaDot Box (GPDB). Founder Rod A. Smith says The Green PolkaDot Box (GPDB) is a membership organization intended to grow to become the largest, most influential "buying collective" in America with the mission of allowing affordable access to “clean” organic foods through an educational grass roots approach. "The time has finally arrived for consumers who eat healthy to break through the high price barrier that, until now, allowed only the wealthy to enjoy healthful organic and natural foods,” said Rod A. Smith, The Green PolkaDot Box Founder. The GPDB is breaking new ground by reducing the distribution levels that add extra costs to our healthy foods. This is achieved by buying direct from the farmers, growers and manufacturers of organic, non-GMO foods. Healthy eating can be cost-prohibitive when you live away from densely populated areas where organic, non-GMO foods rich in nutrients are in poor supply, if not entirely impossible to obtain. The Green PolkaDot Box buyer’s club model solves these issues. Many more people can take part; and more who are shifting to healthy foods will have gripping financial motives to adopt real principles of a healthy lifestyle. There are currently over 1500 products listed and they are adding new products on a daily basis as they connect with more sellers of these clean, organic foods and products in order to bring you the largest possible shopping selection. In addition, the GPDB is working on bringing you fresh organic produce from regional warehouses, as well as a selection of frozen foods. Some of the shopping categories include gluten-free, low-glycemic, low-sodium, corn-free, soy-free and more. NaturalNews is currently lobbying GPDB to place “No MSG” indications on foods with no MSG, yeast extract or other hidden forms of MSG. Are you are fed up with waiting for your local grocery stores and retailers to stop peddling falsely labeled “natural foods” that are contaminated with genetically engineered ingredients and refusing to label these products? Then join with Organic Gardens Network, and others who are joining ranks like Jeffrey Smith of the Institute for Responsible Technology, Ronnie Cummings of the Organic Consumers Association, Jim Turner of Citizens for Health, Mike Adams of NaturalNews.com and more by inviting their subscribers, members and followers to join the Green PolkaDot Box. GPDB will be your national buying source where you can purchase organic and non-GMO foods for yourself and your family without having to question whether they are labeled appropriately. The Green PolkaDot Box is changing the game by driving all the top companies and products together at incredibly affordable prices. 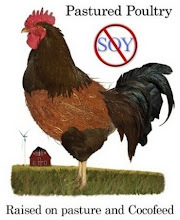 They are taking a leadership position in blazing the non-GMO trail for the future of healthy food and products buying. You can save up to 60% on non-perishables. Save up to 80% on bulk fresh produce when GPDB introduces their "Harvest to Home™" program coming in early 2012, which will bring you fresh organic, non-GMO produce directly from the farms to your home within 48 hours of harvest. No longer will you have to purchase 2 to 3 week old produce that has been shipped in from other countries, or from across the U.S. and sitting in the supermarket cooler waiting to be placed out for sale. The time is now, and long overdue, for expanding access to organic and non-GMO food and products to the entire nation, and the world. The initial offering from GPDB will be in the U.S. only. 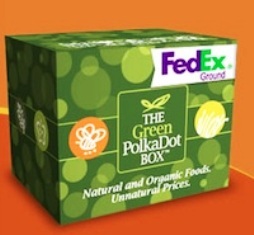 If you live in the U.S. in an area where your closest natural foods store is miles away, the Green PolkaDot Box will serve as a great source for you to have access to more of these clean, organic foods and products. You may be thinking, “oh this is just another one of those network marketing schemes." The Green PolkaDot Box program is not network marketing or MLM. It is a buying club, much like Sam’s Club or Costco, with their focus on organic, non-GMO foods and products. You can earn affiliate commissions by making referrals, much like how Amazon.com’s affiliate program works. You still pay the same price for the product whether you buy it through an affiliate link or through a direct link. Affiliates just make a little money for helping to introduce the sale. Commissions can be earned by becoming a Rewards Member through which you earn points that you can then spend as cash in the GPDB store. When your account points reach 1000, GPDB will transfer $800 to your PayPal account and leave 200 points in your GPDB account to continue to use in the store. If you make enough referrals, you can essentially get your food and products for free by using your accruing points ongoing. 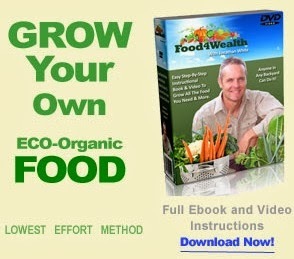 Join The Green PolkaDot Box Buyers Club with Organic Gardens Network. We all now have the opportunity to save thousands of dollars every year with this innovative buyer’s club. Let’s join forces to help support the collective bargaining strength of the Green PolkaDot Box. In this video, Green Polkadot Box Founder Rod A. Smith talks about the program on opening day. great idea i like this.